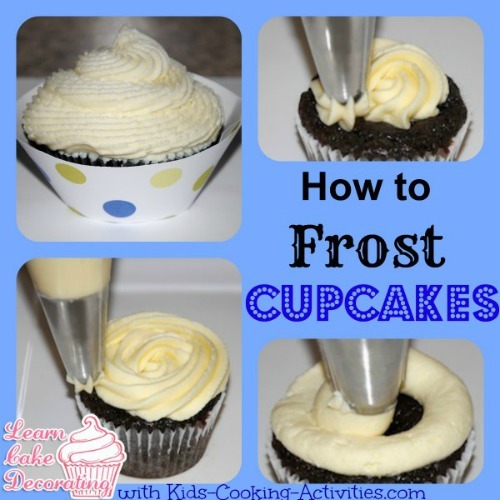 Besides using a butter knife or spreader and frosting the top of your cupcake, there are a few fun ways you can learn how to frost your cupcakes. 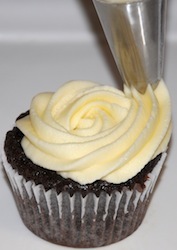 Start with making the frosting recipe here on our cake decorating page. 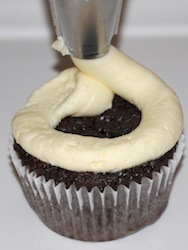 Then practice some cake decorating techniques with your cupcakes. 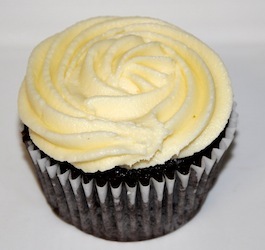 Consider filling your cupcakes with some scrumptious sort of filling before you frost them. 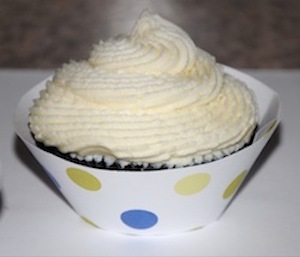 Its not hard to fill your cupcakes  and this is something easier for the kids to do. 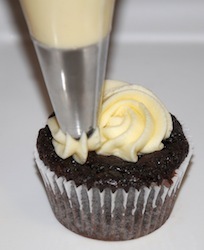 If you have a basic piping set you can take the large end of one of the tips, poke it into the cupcake, lift out and you will have a small piece of the cupcake. 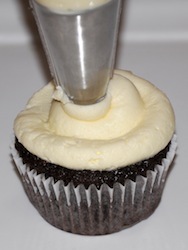 Then, take a small spoon and put some yummy filling into the cupcake. If you want to be a little thrifty though, you can make the pudding yourself by buying a box of instant pudding and just adding milk. 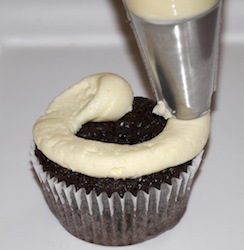 After filling those cupcakes, its time to pull out the frosting. 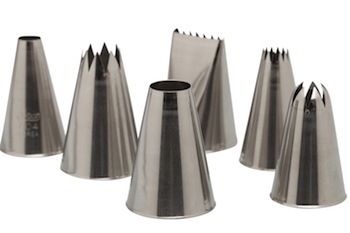 For cupcake swirls using a large tip is the best, some of my favorites are Ateco tips #804 (round), #864 (star) and #846 (closed star) or Wilton 1M. 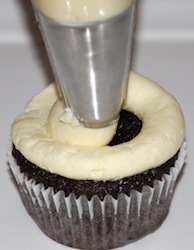 Starting with your filled piping bag and large round tip, start from an outside edge and you'll follow the edge of your cupcake around and continue inside the first circle until you finish in the middle. 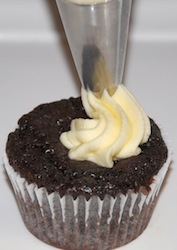 Added fun with a cupcake wrapper. 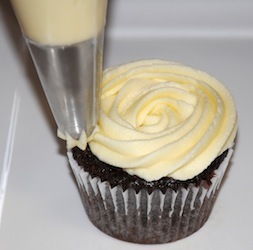 You can make a different look to your cupcake by using the same method above starting on the outside edge and following through to the middle but using a large star tip. 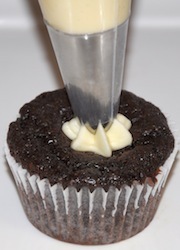 Using a large star tip in your pastry bag. You'll do the opposite as above and start in the middle and make your way out to finish on the outside edge. 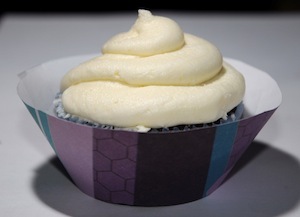 This video shows you a few different methods you can learn how to frost cupcakes including flower cupcakes.